It is pretty small, measuring only about 600 SM. The rink shape isn’t your typical elongated oval (an Olympic hockey rink comes in at about 1830 SM. Given its small size it is mainly used just for recreational skating. It is a good way to keep the kids happy since the rest of the integrated resort is geared for adults (lots of gaming, nightlife options, upscale shopping, celebrity chef restaurants, etc). While I’m focusing only on the rink at MBS, in case you’re curious and want to go ice skating in hot and humid Singapore, the MBS rink is one of only two operating ice skating rinks. It came online with the opening of the integrated resort in 2010. The only other rink is Kallang Ice World which opened in 2007 as part of the Kallang Leisure Park, located near the Stadium MRT. At 975.5 SM, the Kallang rink is much bigger but still nowhere near Olympic size. 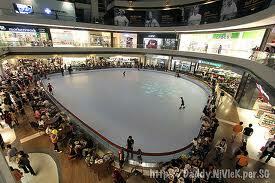 Nevertheless as Singapore’s larger rink, Kallang is the preferred practice rink for figure skaters and hockey players. Some more trivia that is sure to improve your life…the NTU figure skating club uses Kallang’s rink. A third rink, Fuji Ice Palace, ceased operations in 2008. Space in an ice skating rink is sold implicitly but not as implicitly as a hotel where space is split up into guest rooms or restaurants where space is divided into different types of seats. The customer doesn’t know that they are being sold a piece of space which in this case would be the amount of space they are allocated based on the maximum safe capacity that the rink can handle. At the MBS rink, time is sold explicitly in hour-long blocks. The pricing is as follows: S$7 for the first hour for adults (S$5 for additional hours), and S$6 for kids for the first hour (S$3 for additional hours). This makes it easy to predict duration. Most other rinks in the industry (the kind that I’m more used to seeing) sell time in a more implicit manner using a flat rate that allows the skater to skate all day. This sort of pricing scheme makes it hard to predict duration. If MBS sticks with an explicit definition of time, it could consider splitting time up into the half hour, perhaps offering a 0.5 hour “quickie” or a 1.5 hour option. The rink is small so I think most people will get bored pretty quickly and decide to leave before a full hour is up. Thus a quickie may be an enticing offer. They can do a few laps, take the necessary “victory” sign picture and move on with their day. For a rink that chooses to define time implicitly, another way is to split it into perhaps morning (10:00-noon), afternoon (noon-17:00), and evening sessions (17:00-closing). Rate fencing is not really utilized at the MBS skating rink except to divide the adult rate classes and child rate classes (a non-physical rate fence). Age is used to prevent jumping to the lower rate class, though the cutoff age is not clear from the website. Presently there doesn’t seem to be any real physical rate fence used. There are no amenities (though I guess MBS can bundle in some equipment if they were to be more creative with managing the ice rink). There are no “fancy ice skates” that can be rented at a premium over the regular ugly ones, and that can be used to differentiate a premium customer from a regular one. Also since it is a small ice rink and people move around, there really isn’t a sweet spot that would allow you to sell a particular piece of it at a premium as you might be able to do for better seats in a movie theater or a nicer table in a restaurant. The rink can consider rate fences to aid in RM efforts but it should probably approach it in a more back of the scenes approach (as in keep the pricing board at the ticketing counter as simple as possible). The last thing you want to do is confuse the customer when they stare at the prices. Here’s some ideas for rate fences. If MBS begins to do reservations (i.e. for peak periods), a credit card guarantee against arrival uncertainty could be used to justify a discount for booking ahead. If MBS were to consider launching targeted promotions, adding in value adding amenities (i.e. souvenirs, equipment bundling, or some sort of special service like helping to clear the ice for a few minutes so a man can propose to his girlfriend) could be a physical rate fence. With discount promotions, restrictions on usage become a non-physical rate fence. If MBS were to do group sales (more on that later), then the group affiliation becomes the non-physical fence. Fixed Capacity: The MBS rink has a fixed capacity. It’s not going to get any bigger. There’s probably also a maximum limit of people who can be on the ice at any one time for safety reasons. Perishable Inventory: This is valuable real estate inside a busy retail complex. If the space isn’t being utilized as efficiently as possible (i.e. not a lot of skaters) throughout the operating timeframe each day then there are lost revenue generating opportunities. Varying Customer Price Sensitivity: maybe…Ice skating at MBS is pretty expensive. I’m used to paying a flat rate back in the States which is something like $10 all day. 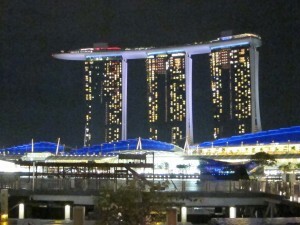 At MBS there is a fixed pricing scheme of S$7 for the first hour for adults (S$5 for additional hours), and S$6 for kids for the first hour (S$3 for additional hours). 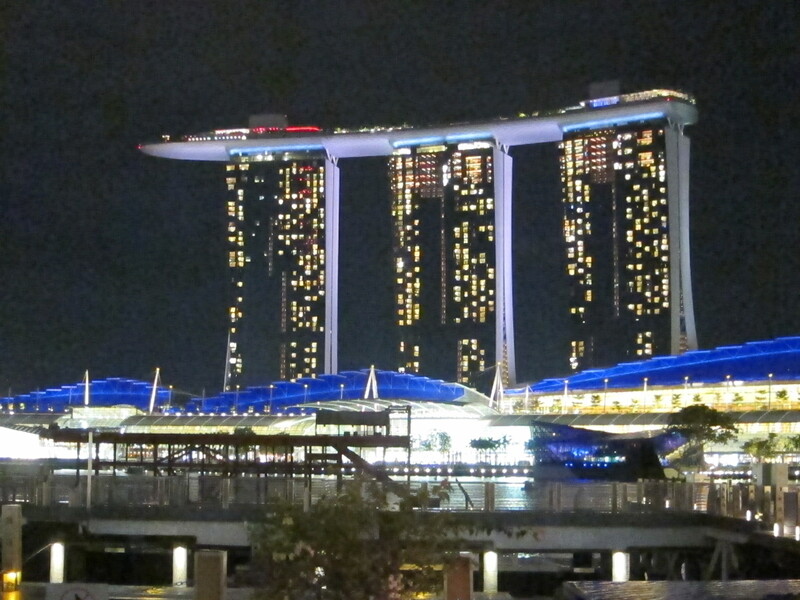 While I’m sure there are tons of rich, price insensitive people who come to MBS, there are probably lots of poor people like me who just visit from time to time to walk around. I might be more inclined to want to skate (on an impulsive whim) if they offer a variable pricing scheme with promotions for off-peak periods. Predictable Demand and Time Variable Demand: MBS probably has the data to forecast customer arrival patterns by time of year, DOW, and TOD. I don’t think they do reservations so you’re not going to really have an exact on-the-books kind of demand picture at the start of the day, but there might be a correlation of ice rink customer volume with occupancy patterns, particularly if drilled down to certain customer segments in house? Currently the MBS ice rink is likely at quadrant 1. It has a predictable duration (customer is charged based on how many hours they want to skate), and a fixed price (though they get a little discount after the first hour). The rink would have to move towards a more dynamic pricing scheme in order to advance towards quadrant 2. 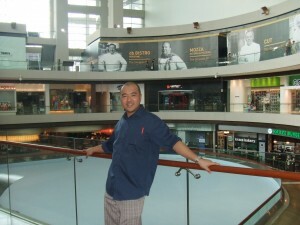 Similar to a restaurant where customers start and end their meals at different times, the MBS ice rink has people starting and ending their time blocks at different times. Additionally there is a limit to how many people who can safely be on the ice at one time. Although I’m not sure what the best way to measure success is, I’ve got two ideas. One way is to use revenue per available square meter (RevPASM) since you know the rink dimension. You can look at RevPASM hour by hour (to be more accurate you can look into prorating the revenue from each customer based on when they start and finish arriving at a total hourly revenue figure for the rink) and try to maximize it without overcrowding the rink. Skate rental $3 (you’re forced to rent; cannot bring your own skates), socks $6 (probably b/c a lot of people probably make a last minute decision to skate and don’t have crew socks high enough to protect your ankles from chafing), gloves $10 (maybe if you fall a lot). People who skate probably also spend some money on food (hot chocolate?) at the adjacent food court. Additionally, they (especially the parents) probably are going to spend money in other parts of the integrated resort as well. For the MBS ice rink, probably the easiest way to boost revenue performance and get closer to Quadrant 2 is to examine RevPASSH and figure out the hot/cold periods throughout the day. Then attempt to implement variable pricing to maximize revenue. They can launch promotions and discounts to drive demand on the cold periods (i.e. through targeting their Premium Advantage member card holders). Actually if they’re more concerned with a total RM approach, I want to put it out there that I’m a Premium Advantage card holder and I’m a sucker for free things. So if they gave me a free skate hour I’d probably use it, and end up staying and blowing money in the casino after. This suggests that if you can do something to get kids to beg their parents to take them to the rink, MBS stands a good chance of getting one parent to venture into the casino while the other watches the kids. MBS can make more money by selling ice rink souvenirs and enticing people to eat at the food court next to the rink. You can have your hot chocolate. 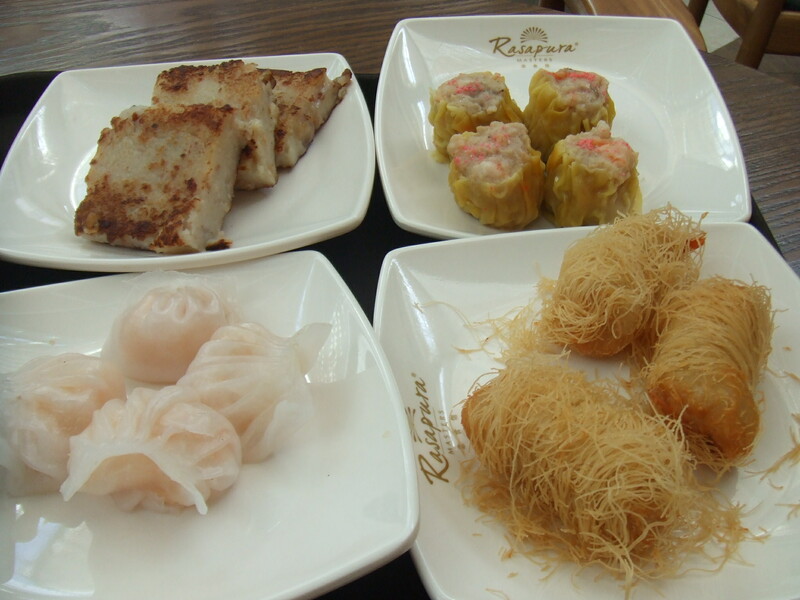 And, since it’s Asia, there’s dim sum! Another thing MBS can do is to consider selling to small groups as part of their meeting package. It could be marketed as a “quick fun break” where meeting goers can all go down and have a few minutes of fun. But MBS must do this carefully and target the cold periods. MBS is a large MICE facility. The last thing you want is a few hundred meeting goers all demanding to use the rink at once. The poor rink attendant will get slaughtered. Additionally they can look into streamlining the procedures to get people off the ice quickly once their time is up and to clean and turn over the ice skates. This will help to enforce the predictable duration and also reduce time between customers. Fire safety is the arrangement of practices planned to decrease the obliteration caused by fire. Fire safety measures incorporate those that are expected to forestall start of an uncontrolled fire and those that are utilized to restrain the advancement and impacts of a fire after it begins. Thanks for sharing such a wonderful post with us. Such a great article very interesting post. Staff in the food and hotel industry are becoming increasing hard to find n 2019 Praca w Hotelu. Polish workers are returning to Poland instead. Informative indeed. Even This resource has plenty of interesting tourism related information, especially about the Asian region. Build a bespoke event management app for your event with complex feature integrated altogether from EventBH. EventBH simple yet powerful lead retrieval solution can capture huge leads database through your smartphone very conveniently. The leads retrieval technology works in offline mode also for uninterrupted data collection. Hotel locuri de muncă Londra. Chelneriță locuri de muncă Anglia. Lucrător de îngrijire cu cazare. Lucrări de menaj în Elveția. Miejsca pracy dla polskich pracowników Londyn. Praca szefa kuchni w Anglii. Praca opiekuna z zakwaterowaniem. Praca gospodyni w Irlandii. You can find skating rinks in London as well not expensive to go to.Considering the current exorbitant value of land in London , I am not sure the Marina bay sands financial model will apply.